Houses were destroyed in the fire at Kampung Pasir Putih in Putatan. KOTA KINABALU: A squatter area at Kampung Pasir Putih in Putatan was destroyed in a fire early this afternoon. 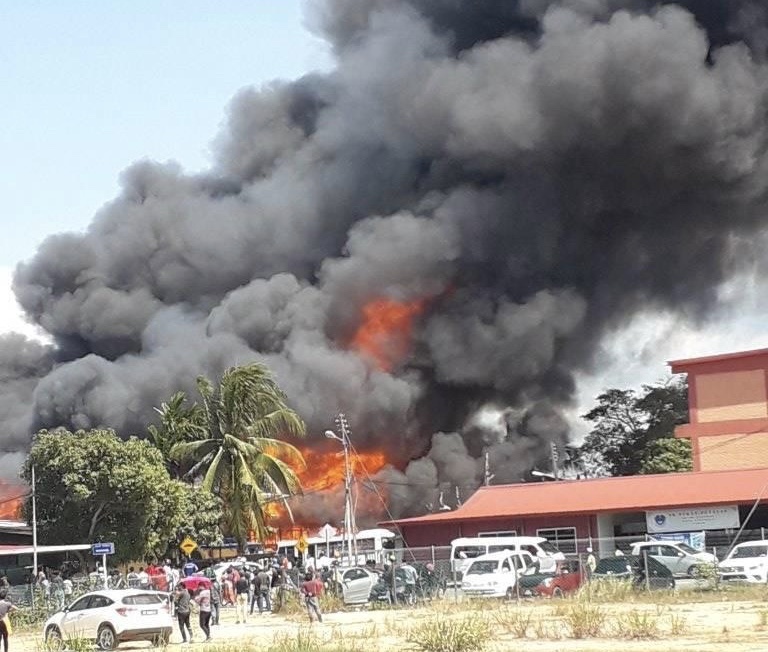 A spokesperson from the state Fire and Rescue Services Department said firefighters are still working to control the blaze but no untoward incident was reported. It is still to early to determine how many houses were affected but believed close 10 houses were destroyed.